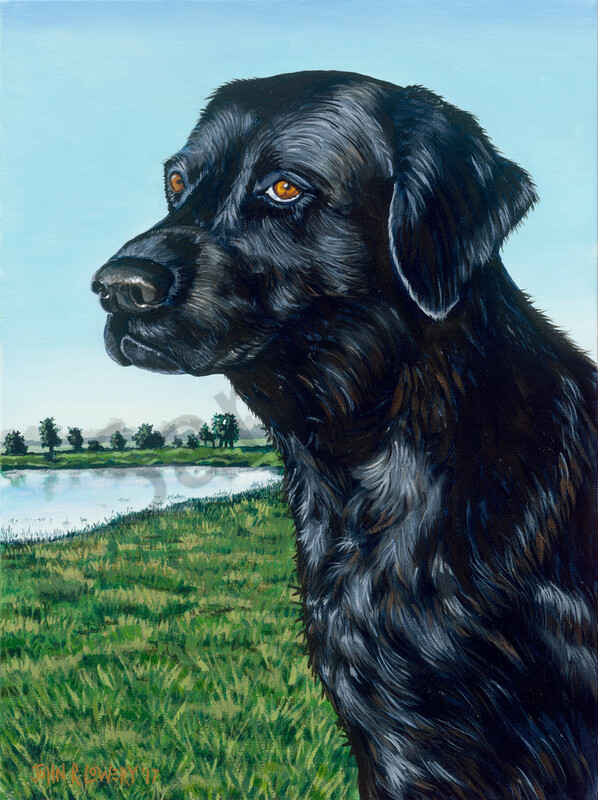 Original painting of a black labrador retriever for sale as art prints. Ever wonder what a dog is thinking? I have two dogs and it seems they always have food on their mind. To be open-minded, this black lab could be looking at birds, however.